Getting ready for CES, Consumer Electronics Show. I was able to get tickets for this international trade show in Las Vegas. It's my week to be geeky about techie stuff! 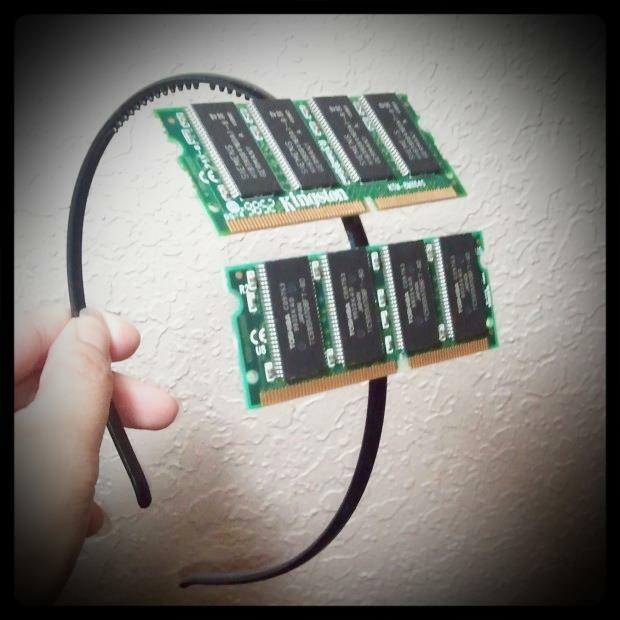 To prep for the show I made myself a little techie themed hair accessory. Salvaged computer ram on a headband. ~giggle~ Maybe I can be mistaken for the next robot technology. It's Blue Friday.. In Space!